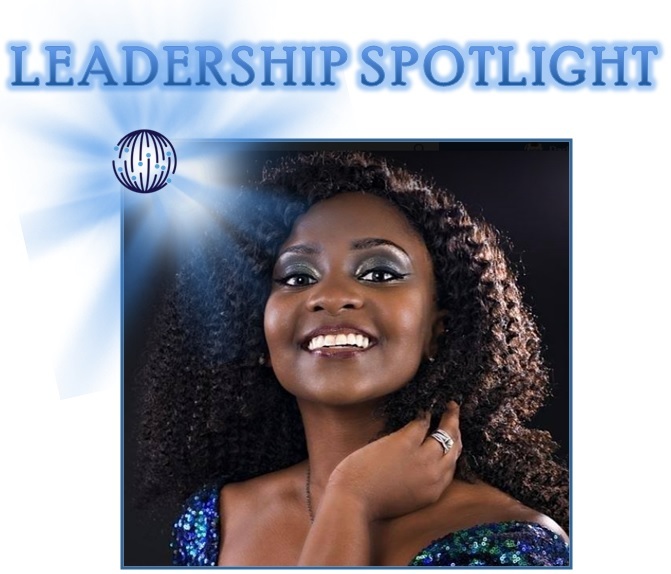 THE PLANNET SPOTLIGHT SHINES THIS WEEK ON LORIE BANATTE! I was born in New Jersey and raised in different parts of New Jersey the majority of my life. There was a brief period when I lived in North Carolina and California while my dad was stationed in the military. I currently live in Irvington, NJ and am looking to move very soon. I am married to my husband, Jeff, whom I have known for about 10 years…our fifth anniversary is this month. He is a registered nurse and is pursuing his passion in real estate. I am a mom of two children; Rihelia, 13, and Taiji, three years old. I am the oldest of two siblings; my sister, Vanessa, who is working in the social services field and an advocate for autism, and my brother, Michael, who is autistic and a living miracle who defied all odds. My parents are Rihul and Elionne Etienne. Some hobbies that I like to do in my spare time are writing, seeking adventures that I haven't done before, and crossing things off my bucket list. So far, I have been skydiving, have gone on a hot air balloon ride, have gone skiing, and so much more. Playing the piano also relaxes me, I want to become very good/great at it. As far as past business highlights, I'm am an author and self published the book Working Behind the Scenes and am currently working on my second book. I have conducted research at the University of California of Santa Barbara as an undergrad and am pursuing my master’s degree as a McNair Scholar. I have also been inducted into Psi Chi, which is the International Psychology Honors Society. I have grown here at PlanNet by being being pushed way beyond my comfort zone. I have always prayed to God to help people and become a leader, and this vehicle was the form of an answered prayer. I am also replacing very bad detrimental habits that were a hindrance to my growth. I have been stretched beyond the limit to actively pursue more for my life. Things were pulled out of me that I didn't know existed and I know there is more in me as I unlock my highest potential. I have gradually changed because I used to give the man a fish. Now I can also teach them how to fish and catch a net full of fish. Now that is powerful! Every day that I wake up and open my eyes is my driving force. I look around at the circumstances of my life and see that there is more work to be done; thus, lack motivates me. I am a giver to the point that I would give my very last, and I have to fill the empty reservoir to the point that it is continuously overflowing so I can continue to be that giver. I pray to God every day and all day over the people connected to me and my business. Knowing that on the other side of the fence is abundance that my husband, children, and those connected to me deserve, pushes me. Knowing that prosperity is our birthright from God and we shouldn't have to settle for less is what fuels me. Not wanting to pass down insufficiency to my children and generations to come is what makes me grind harder. Struggle, survival, and limitations end with me. I do not ever want to be an example of mediocrity to those who look up to me; that motivates me to be the light that guides people to be extraordinary and be uncomfortable with remaining average. I want to inspire people to do more and be more because of the greatness instilled in each and every one of us...otherwise a dream deferred turns muscle into fat. The fact that I am getting older, which means my lifespan is getting shorter, motivates me to go as hard as I can with every second that is gifted to me. When someone says I can't do something that I yearn to do, that lights an even bigger inferno to prove to myself that I can do ALL things through Christ who strengthens me. My dad, Rihul Etienne, because he always pushed me to be the very best and to strive for A grades. Even though I can be rebellious and a free spirit, I appreciate the discipline he instilled in me. I am an overachiever because of him and I always look to make him proud. Unrestricted (limitless), Fireball, and Free. Your dreams are attainable only if you believe you can achieve them and put forth the action. If you fear something, that is more of a reason to go for it. When there is a will, there will ALWAYS be a way, despite any circumstances or the storms you endure in life. You just have to trust God with all of your heart and lean not to your own understanding and seek first the kingdom of God, and His righteousness; and all these things shall be added unto you. Understand this, the wealthiest place on earth is the graveyard, because people are buried with their dreams, goals, and aspirations. All we have is right now to give our very best to live our very best lives. Do not waste any more time, because time is the most valuable thing we have in our possession. At 35, I am going to be a millionaire as a mansion owner (the property of my dreams). My family and I will have traveled to many different countries worldwide. Everything on my vision board will be fulfilled and I will have led thousands of families to financial freedom. The beautiful thing is that the ones who are grinding it out with me now and sowing seeds will be there with me reaping the bountiful harvest and enjoying the fruits of our labors. Everyone connected to me who are flat out going for it will without a doubt win. I will also be doing philanthropy work and giving back to the community through my nonprofit organization that will also be established. My daughter, Rihelia, will be going to the college of her choice instead of no choice. She will have a full ride scholarship even though I will be able to pay her tuition in full. My son, Taiji, will be in very advanced programs for his age that I will be able to afford. I will retire my parents so they do not have to work anymore and I will support my siblings (I will always annoy my little sister, that won't change). My husband, Jeff, and I will be educating and inspiring the masses. Love, light, and positivity always; let's GROW.